Dr. Rita Pierson is one of my personal teacher heroes. In her May 2013 TED Talk, Dr. Pierson asserted that “every child deserves a champion: an adult who will never give up on them, who understands the power of connection, and insists they become the best they can possibly be.” Her talk was one that gifted me with a worldview shift. I spent my college years in my education classes learning how to be the authority figure that students needed and, in some ways, I think I forgot one of the more important parts of the job: being a good person in the lives of my students. Dr. Pierson’s talk reminded me that we must foster relationships with our students; this is the key to getting kids to work for you and to work for themselves. I have since focused just as much energy on cultivating positive relationships with my students as I have on my lesson plans. Building a classroom community and one-on-one relationships with students is an art; it takes time, effort, and thoughtfulness to craft a rock-solid foundation on which to build the rest of your classroom dynamic. In my experience, though, laying the groundwork made of trust, honesty, and enjoyment in each other’s company will radically change the work that happens both in and out of the classroom. 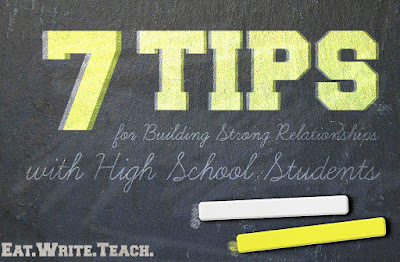 Here are seven essential tips I have discovered for building strong classroom relationships with your secondary students. Show interest in their lives outside of the classroom. From day one in the classroom, I start looking for hints into students’ interests outside of my English classroom: a football jersey on Friday nights, a gamer’s guide stacked in among the spiral bound notebooks, family photos slid into the front covers of binders, the music that blasts out of their ear buds. I take note of these little things, and I wait for the opportunity to engage students in a conversation. I wish them luck at the game that night, or I might mention that if they like playing Fallout 4 then I’ve got some book suggestions for them, or I might play a certain genre of music in class that day to start a conversation. Students are perceptive, despite the fact we often wonder if they are aware of anything going on around them. If you show interest in who they are, they will often respond by showing interest in who you are. This unlocks the chance to share your enthusiasm for your subject and to hopefully hook them. I’m not recommending that you start flipping bottles, playing with fidget spinners, or using teenager lingo. I do suggest that you read the books they are reading, try to see the movies they are watching, listen to the songs they recommend, and check out the Netflix shows they are talking about. It is a lot easier to make a connection with someone if you have common ground, so put in effort at maintaining those commonalities. During my first year teaching, I adopted this “ultimate teacher” persona, a weird mix of my favorite teachers from high school. The problem with picking and choosing personality quirks from various others was that I became strangely inconsistent in my classroom management techniques and I was often questioning myself, wondering what those other teachers would have done. By the end of the school day, I was exhausted trying to be all of these other really amazing teachers, so my after-school drama club kids just got… me. Just myself. That was the first group of students with whom I developed a real connection. By the time I started my second year teaching, I decided to just accept myself and to own my teaching identity. Pretending to be something you’re not is exhausting. Embrace your own flavor of teaching, and don’t be afraid to reveal your quirks to your students. Authenticity breeds connection. We ask our students – our angsty, self-conscious, uncomfortably awkward teenage students – to be vulnerable all the time. Try solving this problem on the board while everyone watches for you to make a mistake. Read this passage from the book aloud while your peers silently judge your pronunciation and pace. Swap essays with your elbow partner and let them criticize your work. We often forget, I think, how utterly terrifying it can be to be vulnerable like that, because we spend so much of our classroom time building up our walls and pedestals. I encourage you, teachers, to be vulnerable too. 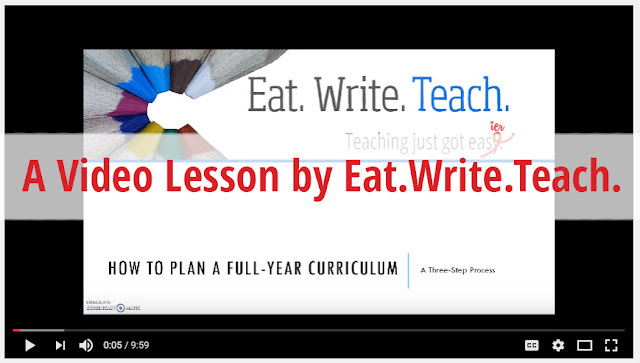 Let students read your writing. Be sincere about your feelings while still maintaining professionalism. Don’t be afraid to make mistakes and acknowledge those mistakes. Vulnerability allows you to experience true connection, and students will be more likely to open up to you in return. Vulnerability and honesty go hand in hand because they require one another. In Rita Pierson’s TED Talk, she told a story about having to apologize to her class for teaching an entire lesson wrong. I have apologized to my students for lessons that failed, grading errors I’ve made, or plans that have fallen through. I am also completely honest about my lack of knowledge. I do not claim to know it all, and my students know that. They are comfortable asking me questions because they know that if I don’t have the answer, I will work with them to find the answer. They can trust me because they know I will be honest with them. One of the best pieces of advice I ever received was from a classroom teacher turned teacher advocate who said, “The year you aren’t excited to buy a new outfit for the first day of school is the year you should consider changing your career.” The thought of being in your classroom and working with your students should be an exciting one! Think about how much time you spend with those students. If you’re anything like me, you probably spend more time with your students every day than you do your own families. Shouldn’t that time together be enjoyable? Do things together that bring you all joy! Find the fun in your lessons, allow laughter and conversation to have its time and place in your classroom, and take a moment to just enjoy being with these crazy young people. Treat your students like family. We are charged with the lives of kids. Our work is important, and our impact is powerful. It can be life-changing. 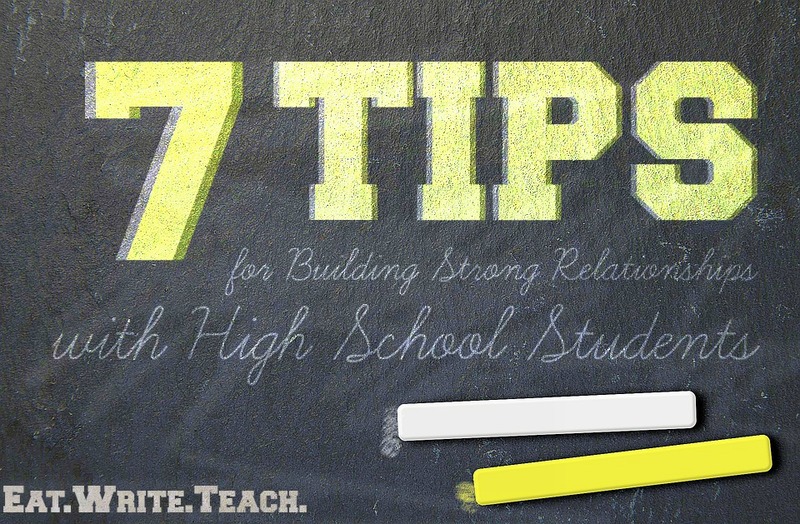 Building strong, positive relationships with our students affects their success both in and out of the classroom. Make the most of your classroom experience by opening up the heart that brought you to this worthy line of work. What do you do in your own classroom to foster positive classroom relationships?